The scientific program will feature two and half-day sessions on Arterial Switch Operation from A to Z. The Vision of the World Society is that every child born anywhere in the world with a congenital heart defect should have access to appropriate medical and surgical care. The Mission of the World Society is to promote the highest quality comprehensive care to all patients with pediatric and/or congenital heart disease, from fetus to the adult, regardless of the patient’s economic means, with emphasis on excellence in education, research and community services. 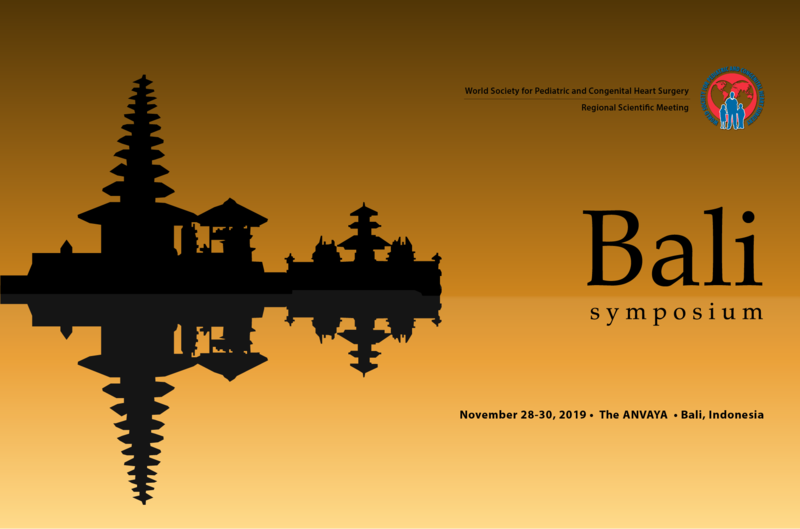 The 2019 WSPCHS Regional Meeting will take place at The ANVAYA Beach Resort, set in the magical setting of Kuta Beach, Bali, with its pale sand, sparkling waters and clear blue sky.